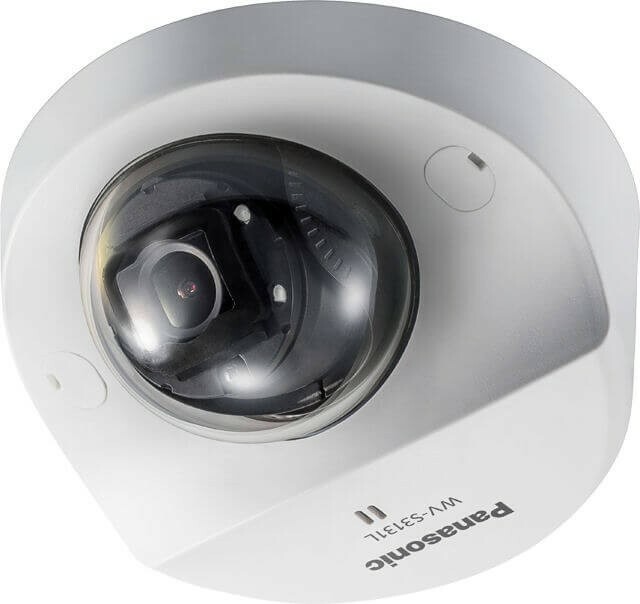 Panasonic WV-S3131L is a compact & simple design multifunction camera that achieves high visibility even under extreme conditions and can be placed in a small space without damaging the landscape. Intelligent Auto (iA) allows the camera to automatically adjust the key settings in real-time depending on the scenery and movement, reducing distortion such as motion blur and moving objects. New industry-leading 144dB dynamic range delivers balanced scene exposure in dynamic and extreme-backlit lighting environments. In addition, color night vision provides outstanding low-light performance with accurate color rendition and saturation from i-Pro's 1/3" sensor, rivaling the performance of costlier 1/2" sensor cameras in the market. The adopted H.265 Smart Coding technology, intelligently reduces bandwidth efficiency of up to 95%* more than conventional H.264 for longer recording and less storage. Cameras out-of-the-box, support full data encryption streaming and is compliant to FIPS 140-2 Level 1 standards to keep your video secured. - Super Dynamic 144dB for backlit situations on entrance. - Wide area surveillance even in compact design. moreover, corridor mode to survey vertically long area. - New self-learning ROI* encoding (Auto VIQS) detects movement within the image and compresses the areas with little motion in order to reduce transmitted data while maintaining the quality of the image. Adaptive Black Stretch The level can be set in the range of 0 to 255. Maximum gain The level can be set in the range of 0 to 11. Digital Noise Reduction The level can be set in the range of 0 to 255. *Smart Facial Coding is only available with Stream(1). *3 Smart Facial Coding, i-VMD can not be used at the same time. *4 Settings of [90 °] and [270 °] are only available for the [16 : 9 mode]. *6 Transmission for 4 streams can be individually set. *7 When recording audio on an microSDXC/microSDHC/microSD memory card, only use AAC-LC (Advanced Audio Coding - Low Complexity). *8 The replacement cycle (target) of a microSD memory card differs from that of a standard size SD memory card.